Let the 80/20 Rule help drive your business | Business Forward! 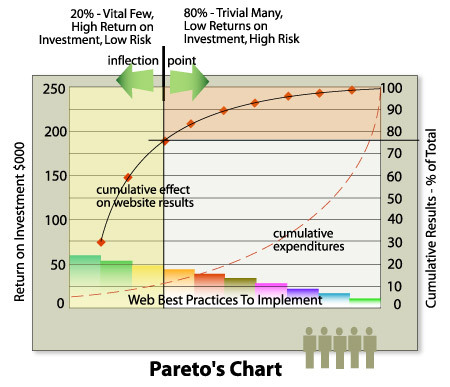 The Pareto Principle is very simple, yet very important. It is named after Italian economist Vilfredo Pareto, who, in 1906, found that 80% of the land in Italy was owned by 20% of the population. You might say that is interesting, but what does an early 20th century Italian farmer have to do with my ecommerce business? Well, I’m glad you asked. In a more general sense, the principle states that 80% of results will come from just 20% of the action. For example, speaking in generalities, 20% of your customers represent 80% of your sales, and further, 20% of your time produces 80% of your results. Sounds interesting. So how do you apply this practically to your business? If you drill down a little deeper into the 80/20 rule, you can discover a wealth of information that might have been missed. For instance, if you knew that roughly 20% of your sales came from certain customers, you could profile them, and use that data to target future customers who fit that profile. You may guess where this leads too. Just as it is said that 1% of Americans own 90% of the wealth (and also pay 90% of the taxes), your 20% customers can also be subdivided to express further appeal. In his book, 80/20 Sales and Marketing, Perry Marshall has done the math for us, and says that 20% of the 20% (4% of total sales) make up 64% (80% x 80%) of your total sales. Pretty incredible. According to Forbes, multiple surveys have shown the rule playing out. 20% of the sales reps generate 80% of total sales. 20% of customers account for 80% of total profits. The 80/20 rule does not just apply to the financials of your business. Perry and others have discovered its use in more social means. 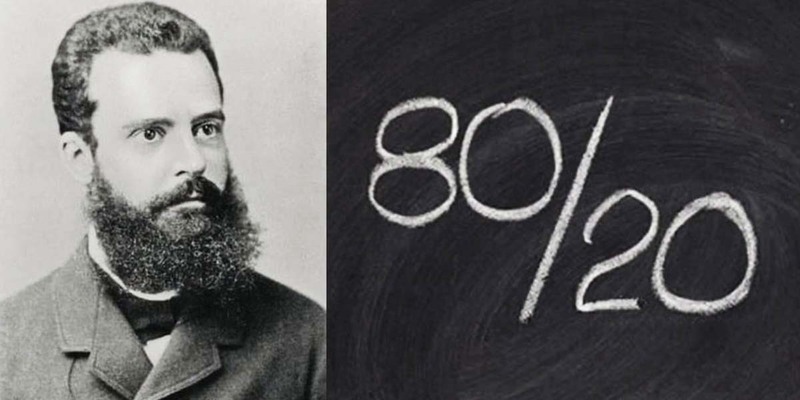 The Pareto Principle has been applied to everything from time management to hiring employees. If you can figure out which 20% of your time produces 80% of your business’ results, you can spend more time on those activities and less time on others. Not only will you be able to identify who your bread and butter clients are, you may also be able to pick out those customers who are “problems” and take up a considerable amount of your time. I know this from experience. While it is difficult to do, it is often best to let go of a client or clients that are in this small percentile of your sales. While it’s difficult to rationalize losing sales on the surface, you will more than make up for it with peace of mind and more time to manage your high producing clients. It is only natural to want to pay attention to all of your customers. But you don’t need everyone. Far from it. Paddle away from the 20 percent of your customers who cause problems, and focus on the 20 percent who buy the most from you. Give it a try!